In the 21st century, one might assume that pain from headache to backache, neck to knees is an easily treatable non-issue. It is not. Millions of doctor and emergency room visits relate to pain and the rampant addiction to pain medications often takes root in an attempt to manage unremitting discomfort. The author, a chronic nerve pain survivor, writes from a one-of-you, inside-the pain perspective. 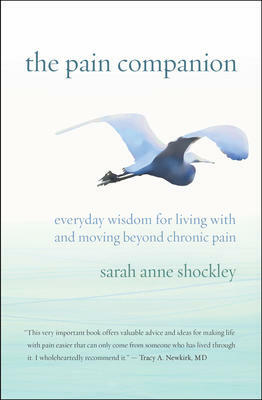 Shockley does not aim to replace traditional and alternative approaches but to acknowledge how pain sufferers feel unheard, misunderstood, and judged, and to address the guilt, anger, and isolation that exacerbate suffering. From talking to doctors to talking to pain, stress relief to simple lifestyle adjustments, here are dozens of practical, compassionate practices for sufferers; profound insights for medical practitioners; and invaluable guidance for anyone who loves or cares for one in pain.